Description: Right in the heart of the village but with a stunning rural outlook, this highset Glenreagh charmer has plenty of character and loads of potential as well. Situated on a level block of 923.2sqm, the property has under house parking for three vehicles and a workshop/laundry with extra WC. 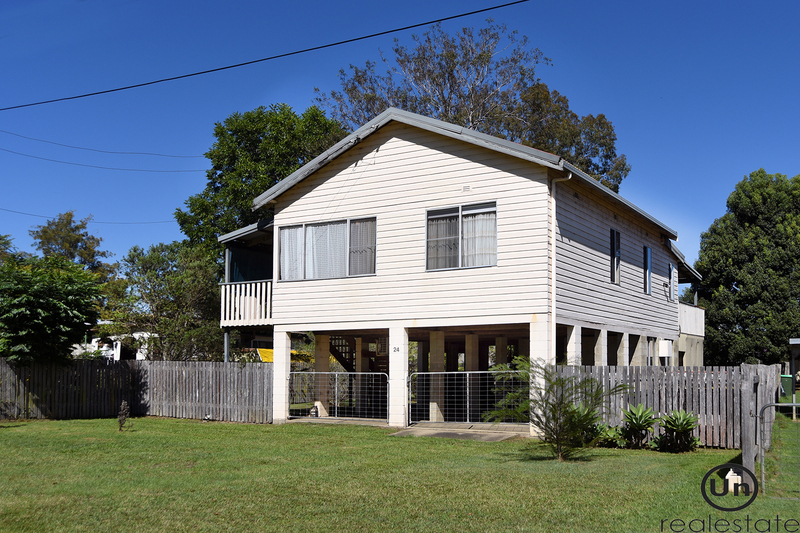 Upstairs and the views out over farmland from the front of the property are especially tranquil, while the sizeable timber back deck looks out over the expanse of the block, ideal for keeping an eye on the kids at play. Inside and the charm of the dwelling is immediately evident, high ceilings, timber floorboards and a hearty wood fire are among the signature features. The home opens into a sunroom and flows through to a formal living, with kitchen/dining/extra living at the rear. A reverse cycle air conditioner in here is another bonus. Easy care tiles in the kitchen equate to low maintenance, and the bathroom has a crisp white and blue colour scheme with the shower over the bath - ideal for a family. Back outside and this really is a lovely block, with plenty of room to set up a cricket pitch for family barbecues and to have a veggie patch, pets and/or chooks! Perhaps most ideal is the fact that the main street is just around the corner (approx. 2 mins walk) - it's approximately three minutes from the post office and five minutes to the iconic Golden Dog Hotel. Leave the car at home and enjoy the village lifestyle. Fine to live in as is, the home also has great bones for a potential interior renovation, to best showcase its signature country character. Properties in this tightly-held area don't come up every day, be quick.